The holiday season is upon us, starting with Thanksgiving just around the corner. It’s a time of celebration, but it’s also important to remember those who are less fortunate than us. Work with a Tonawanda food pantry. Food pantries need assistance all year long, and you can help by organizing a food drive or by volunteering in-person. Helping to feed the hungry is one of the best ways to give back in your community. Build a home for a family in need. Consider pitching in this holiday season by helping build a Habitat for Humanity house for a local family. 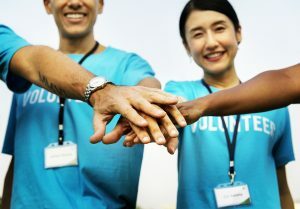 This also makes a wonderful group activity for corporate groups looking for a way to give back. Volunteer at a nursing home. Retirement and nursing homes are often in need of volunteers to run events for their residents, read to them, or simply spend time visiting with them during the holidays. Hold a fundraiser for a local Tonawanda area charity! 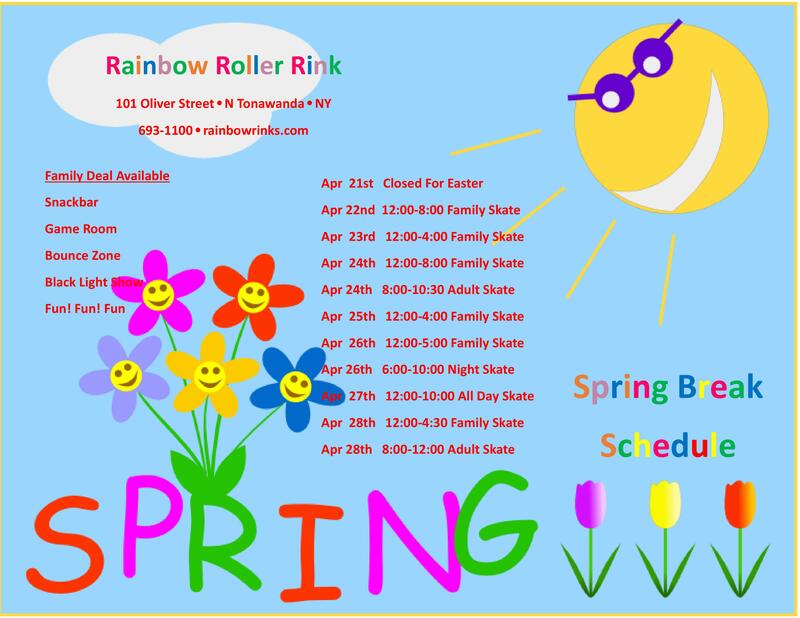 Rainbow Roller Rink is the perfect place to host your next fundraiser. Our fundraisers include supervised programmed activities, a light show, fully stocked concession and game room, and your choice of music. There’s also an option for a bar and access to our Bounce Zone! We’d be honored to help you raise money for a local Tonawanda organization that’s close to your heart. For more information about scheduling a fundraiser in North Tonawanda, please contact us today at (716) 693-1100!